Shopping for a new Tesla Model X? Keep in mind that adding Tesla’s so-called Full Self-Driving option (formerly called Enhanced Autopilot) is essentially an investment in the future. Tesla offers the option, which will include future hardware upgrades and eventual systems that will enable automated city driving, as a $5,000 when new, on top of the $3,000 cost of Autopilot. After the sale, you can upgrade for $4,000 to Autopilot and $7,000 to Full Self-Driving. 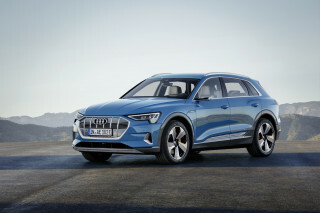 The 2019 Tesla Model X is no longer the only all-electric SUV you can buy this year. It’s swift, pleasant to travel in, and relatively practical, save for its somewhat silly doors. The Tesla Model X used to be the only fully electric vehicle you could get in the U.S. that was truly fit for American-size family duty. 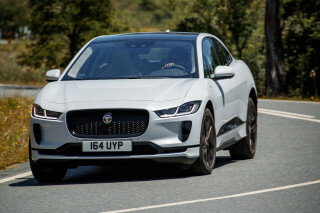 Although with the introduction of the Audi E-tron this year, plus the Jaguar I-Pace and many more shades of electric crossover if you go smaller and lower in price, the Model X is certainly no longer the only one. The Model X is based on the Model S fastback sedan and is offered in five- or seven-seat versions, with dual-motor all-wheel drive standard. With its lineup streamlined in recent years, it’s today only offered in Long Range and Performance versions. Performance is strong and handling is capable on any Model X—surprisingly close to that of the Model S—and if you check the $20,000 Ludicrous Mode option its 0-60-mph acceleration drops to just 2.8 seconds. It’s the stuff of YouTube videos of stunned passengers; rightly so, as that makes this SUV quicker within legal speeds than many supercars. The falcon wing doors bring plenty of gawkers when they open or close—in a way that cleverly preserves space around the vehicle and prevents them from opening into things. But they don’t make the back seats any easier to get in to or out of.. The only positive is that they’re wide, so getting to the third-row positions is easier than it might be with side-hinged doors. The 2019 Model X is rated at 289 or 295 miles, and is good for at least 200 miles in most conditions, even at highway speeds. Entry prices for the Model X have crept up, perhaps due to the introduction of the Model 3 sedan and its mass-market Model Y crossover counterpart, which will slot in below the Model X. At a base price now well over $90,000, the Tesla Model X is a serious luxury vehicle by price—and its sheer acceleration capability, 5,000-pound towing rating, long rated range, and the potential of Autopilot and Full Self-Driving give luxury an entirely different format. 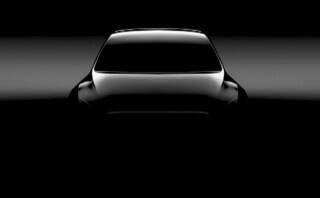 Tesla has prioritized an aerodynamic look, and so the 2019 Tesla Model X looks like a big, ovoid Model S.
In designing the Model X, Tesla clearly had to make some tradeoffs. While seven-seat crossover SUVs are normally big, boxy affairs, the electric automaker opted to give the Model X a smooth, rounded teardrop shape. As with many other tall and curvaceous crossovers, how you see the Model X greatly depends on the angle—and not all of them are flattering. Although the exterior may not be appealing in the same way as the Model S (or Model 3), the Model X is easily identified as a Tesla for its flat, flush nose that lacks a grille but contains a V-shape fascia; big 20-inch wheels; and the very raked-back look of the Model S ahead of the driver’s seat. Brightly chromed door handles extend outward as the driver approaches the vehicle, and retract to be flush otherwise; not everyone’s going to like how the front and rear door handles flow visually into each other. It’s the rest of the profile, behind the driver’s seat, that are the most controversial about the Model S; it’s blobby and ovoid rather than sleek. 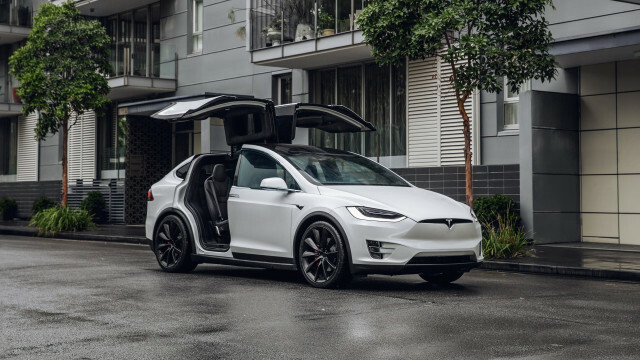 The most distinctive feature in the Model X comes when the doors open. Its rear falcon-wing doors pivot from the centerline of the roof and are double-jointed so that they can be opened without bashing the vehicle next to it. They were a challenge to build into the vehicle (for sealing and reliability) and they remain a challenge today. After some limited time with these doors, they feel like they’re heavy on novelty but not on functional. The interior of the Model X also involves some conflicting impressions. Aesthetically, it’s clean and simple—even somewhat stark—with the dash dominated by the 17-inch vertically oriented touchscreen that controls ventilation, audio, and accessories, with very little physical switchgear. The Model X’s windshield continues up over the driver’s head, which makes the interior bright and airy in initial feel. Interior materials are suitably luxurious at the low end of the Model X’s price range but too austere, especially up close and to the touch, for a model with a triple-digit price tag. The matte silver and dark wood inserts help convey an upscale feel, but compare the Model X to nearly anything else its price and it’s a little lacking on premium ambience. convey a suitably luxurious feel, and give the cabin the needed premium ambience. The 2019 Tesla Model X provides breathtaking acceleration for an SUV in any of its forms, complemented by impressive handling and a smooth, quiet ride. With top Ludicrous Mode versions of the Model X providing 0-60 mph acceleration in just 2.8 seconds, and a 155-mph top speed, the Model X is one of the fastest SUVs in the world—faster than the Jeep Grand Cherokee Trackhawk, Lamborghini Urus, or Porsche Cayenne Turbo. This year, former versions of the Model X with smaller battery packs have been nudged out of the lineup and the two remaining models in the lineup, the Long Range and Performance, are both powered by a 100-kwh battery pack. The lithium-ion battery pack sits under the cabin floor, and there’s one electric motor for each axle for all-wheel drive. The two motors that move the Model X are rated at 259 horsepower (193 kilowatts)Performance versions step up to a 503-hp (375 kw rear unit, while the front motor stays the same. The Performance also gets upgrades to its control systems and power electronics. The Model X is based on the Model S fastback, and so it’s not surprising that it drives like a somewhat taller, heavier version of the S. The 50/50 weight distribution and very low center of mass, as well as the instant torque delivery and general cabin quiet make this vehicle feel far more nimble than its curb weight of nearly three tons would suggest. It’s easy to exceed speed limits if you’re not paying attention. The Ludicrous Mode option in the 2019 Model X costs $20,000 and provides the 2.8-second 0-60-mph time that’s the stuff of YouTube reaction videos and blurred vision. 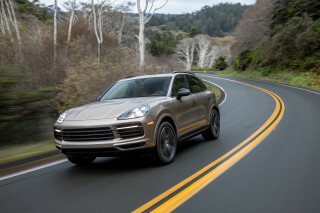 It’s a more impressive feat to pull off acceleration of this level in a seven-seat SUV, even though it’s a little less dramatic from the front seats. If you’re thinking of towing, the Model X can lug up to 5,000 pounds. But beware that it uses energy at a potentially shocking rate, reducing range from around 300 miles to as few as 100 at highway speeds. The trailer might not negotiate all Supercharger stations either. An air suspension is standard on the Model X, and it keeps the ride even-keeled over a wide range of road surfaces and loads. The 20-inch wheels offer a great balance between a quiet ride and good grip (we don’t have any experience with the available 22-inch wheels). The 2019 Tesla Model X is a comfortable, space-efficient vehicle, let down by its gimmicky Falcon Wing doors. The Model X aims to be a practical, albeit high-priced, family transport. 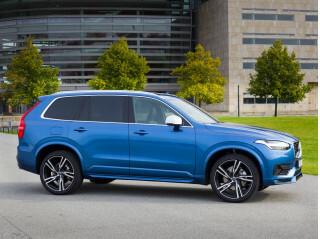 It mostly fulfills that expectation with enough cargo space, comfortable seating, and the flexibility to be ordered with five, six, or seven seats. The driving position of the Model X is surprisingly close to that of the Model S on which it’s based, even though the seats are higher and the cabin is taller. The front seats and positioning are great, and they can accommodate nearly any shape or height. For taller drivers, the panoramic windshield will extend well overhead. With a choice between two- and three-row layouts, and two possible second-row seating configurations, there’s the potential for five-, six-, or seven-passenger versions of the cabin. The optional third-row seat has two seating positions, and while it’s a small space, getting back there is easier than in models with normal front-hinged doors. You’ll still need to watch your head, though, which makes it better suited for teens—provided they aren’t too tall. It’s fine compared to what passes in other SUVs’ third rows. For the second row, there’s a standard three-position bench with a folding backrest, or an extra-cost pair of individual seats with or without a sliding center console. The center position in the second row bench seat loses several inches of head room due to the complex mechanism to hold up the falcon-wing doors. We’d go with the individual seats and the six-passenger layout, which is more comfortable and still versatile. The falcon-wing doors are slow to operate, require an overhead clearance, and you need to stand well ahead or behind them when opening. It’s a pleasant surprise to see that they don’t require much additional width alongside the vehicle, though. A quick open-and-close to get something that’s been left inside can take more than 20 seconds, which can feel interminable to those in a rush. And finally, the double-jointed doors have had ongoing issues with the sensors, as well as door fit. Relative to just about anything else on the market, they’ve been finicky. The Model X has a spacious center console between the front seats, the usual map pockets and bottle holders, and six cupholders. There are four or five USB ports and a 12-volt outlet. In its five-passenger configuration with the seats folded down, the Model X has 88.1 cubic feet of total cargo space. That’s good but not great compared to other SUVs, but the Model X also has a “frunk” (front trunk) that’s spacious enough for most carry-ons or a couple of backpacks. The 2019 Tesla Model X gets excellent ratings from the NHTSA, and the Autopilot feature now demands drivers pay attention. The federal government awards the 2019 Tesla Model X five-star ratings overall and in every frontal, side, and rollover test category. A dozen airbags plus a rearview camera system are included as standard in the Model X, and active lane control, automatic emergency braking, and blind-spot mirrors are all on the feature list. Tesla’s Autopilot driver-assistance system is built around eight surround-view cameras, 12 ultrasonic sensors, forward radar, and a sophisticated processing system, that allows the car to maintain a set following distance and speed, provided the driver puts their hands on the steering wheel periodically. Autopilot is not an autonomous driving system; it’s intended to help reduce fatigue and help an active driver. The 2019 Tesla Model is feature-rich, although its standout features don’t fall into the realm of traditional luxury vehicles. The list of options for the Tesla Model X has been streamlined compared to what it was a couple of years ago. In addition to a set of colors, wheels, and a choice of five-, six-, or seven-passenger seating layouts, the biggest choices are perhaps whether to check the boxes for Autopilot and Full Self-Driving. Both are feature sets that can be chosen when you order the vehicle, or later, albeit at a higher cost. Both include future upgrades and potentially new features as they roll out, provided they’re compatible with present hardware. Autopilot costs $3,000 when bought with the car or $4,000 later. Autopilot is required before opting for Full Self-Driving—and the latter upgrade alone costs $5,000 when bought with the car, or $7,000 later. Autopilot is fundamentally a driver aid that maintains a set distance and speed for the car while watching for pedestrians. The driver must keep alert and put their hands on the wheel periodically. Those who’ve opted for Full Self-Driving get “Navigate on Autopilot,” which allows the car to follow ramps on its own or change lanes, either automatically or with driver confirmation. Automatic parking is included, as is a Summon feature that will call your vehicle over to you for a short distance in a parking lot..
Tesla has periodically teased that the Full Self-Driving package will get an expanded set of automated-driving features, although those haven’t arrived. Prices for Tesla vehicles have fluctuated this year, as well as changes in what’s included in the carmaker’s Autopilot package. Tesla Model X starts at $93,700 and runs up to nearly $145,000 for a Performance model with the $20,000 Ludicrous Mode option. Although prices have definitely come up from where they used to be, all Model X versions now include heated seats for every passenger, a heated steering wheel, wiper-blade defrosters and nozzle heaters, and Tesla’s HEPA air filtration system. The nine-speaker 240-watt sound system in the Model X is now XM compatible, and Tesla provides streaming audio options unique to its vehicles, via TuneIn and the vehicle’s built-in data connection. That’s also the basis for periodic over-the-air updates for the vehicle. Tesla’s Supercharger network is a tremendous asset in the Model X’s appeal and overall usability. It’s integrated with the Model X’s navigation system, and owners can plug in to Superchargers for 30 minutes for up to 170 miles of range. New V3 versions of Supercharger hardware, due later this year, will charge faster. The 2019 Tesla Model X offers a tailpipe-emissions-free way of carrying up to seven. The Model X is rated from 289 to 295 miles of range by the EPA, depending on which version you choose. Each of them now comes with a 100-kwh battery pack. Cold-weather driving or highway speeds could cut the range by roughly 20 percent each; but even 200 miles of range is more than enough to cover the daily needs of a typical family—weekends included. Although it’s unlikely for someone buying a vehicle costing more than $100,000 in many instances to be worried so much about running costs, it is cheap to charge and operate the Model X. Depending on your electric rates, the Model X could cost as little as one-fifth as much to run per mile compared to gasoline-powered utility vehicles.